The project to replace the old buildings on the Borough Road site is now entering an exciting phase. December has already seen specialist contractors, Gilpins, complete the demolition of the old structures. Full planning approval has been secured and Midas Group have been instructed to commence the main construction. Midas are now busy placing orders, including the piling rig and the steel frame, which will arrive shortly after they take occupation of the site in early January. It won’t be long before we see some real activity on the site and the new structure begins to take shape. 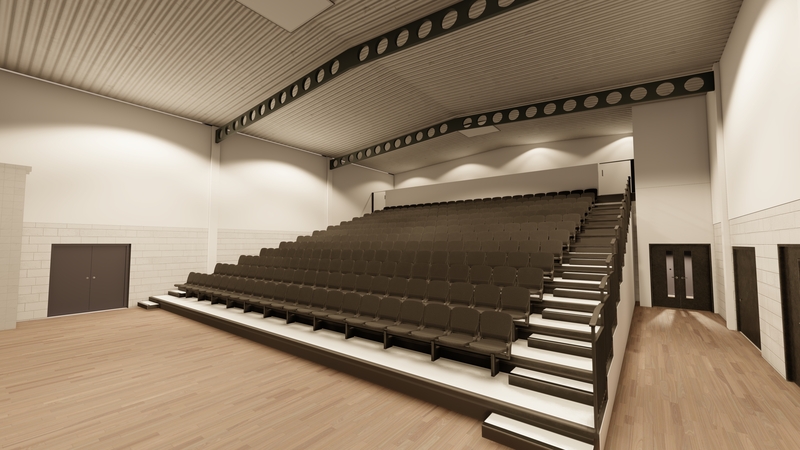 The project team are delighted that the KTA Architects scheme has been approved in full and will include an impressive new multi-use assembly hall, drama room, kitchen, dining room and ancillary accommodation. 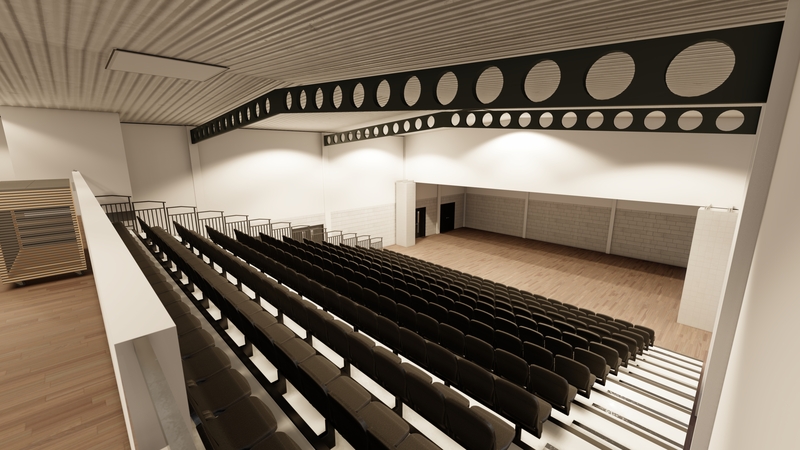 The scheme is managed by a Project Board, which includes directors and staff of the Bay Education Trust and the TDA, who are now close to appointing key ancillary contracts for the kitchen and retractable theatre seating as well as a specialist contractor to design and install the stage lighting and sound equipment. The Project Board has been impressed with the support and professionalism of the design team and Midas, who have taken us to this point. The Board will continue to ensure that safe movement in the vicinity of the site and student safety is at the heart of the construction activity which is due to be completed in September 2019. Despite challenging weather conditions, the Waterleat Road renovation project is progressing well, with solar panels now temporarily removed so that full refurbishment of the roof of the main block can begin. Stormforce Roofing has endeavoured to work as sympathetically as possible, liaising with the Academy site team in order to allow lessons to continue, as they work through the various stages of the planned programme.